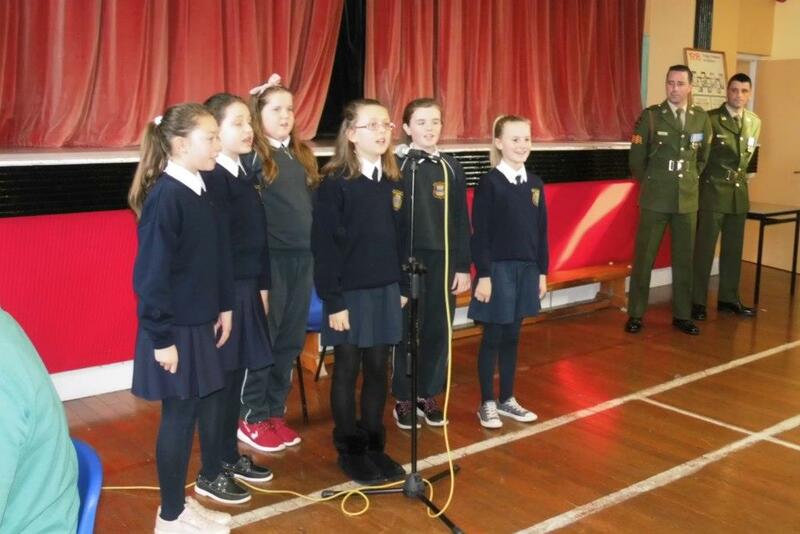 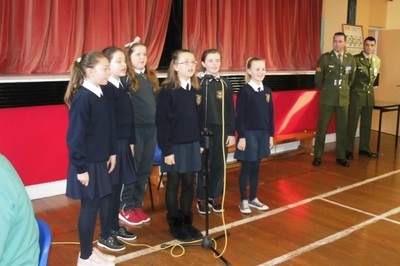 The pupils and staff of Bunscoil na Toirbhirte gathered in the Halla on Tuesday 3rd November for a special ceremony,the National Flag for Primary Schools Initiative 2016. 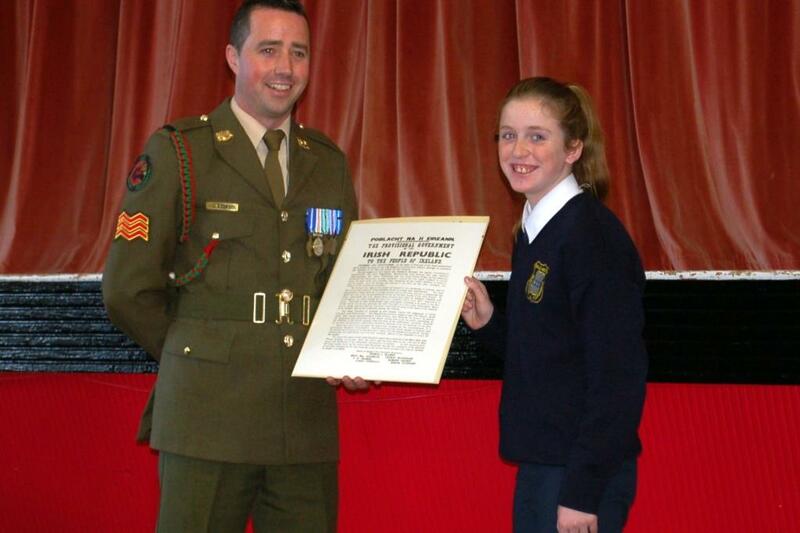 Sergeant Pearse O'Regan and Trooper Trevor Clancy from the Defence Forces presented the school community with a copy of the proclamation and the Irish flag. 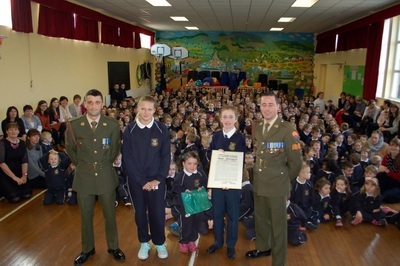 proclamation before next March. At this stage both proclamations may be framed and displayed in the school. Danielle Creed (6th class). 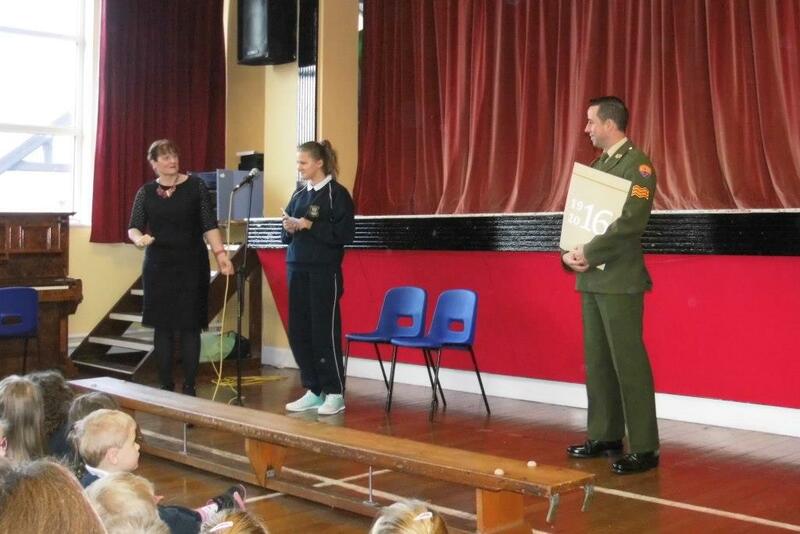 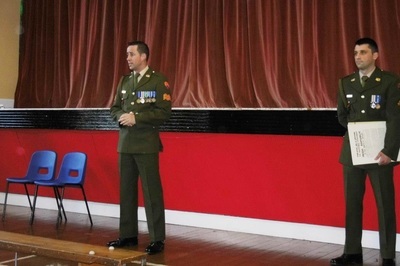 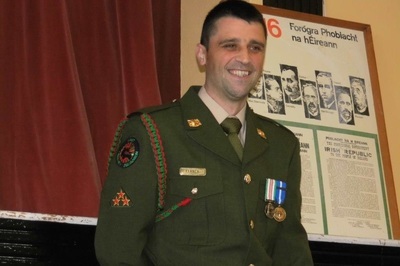 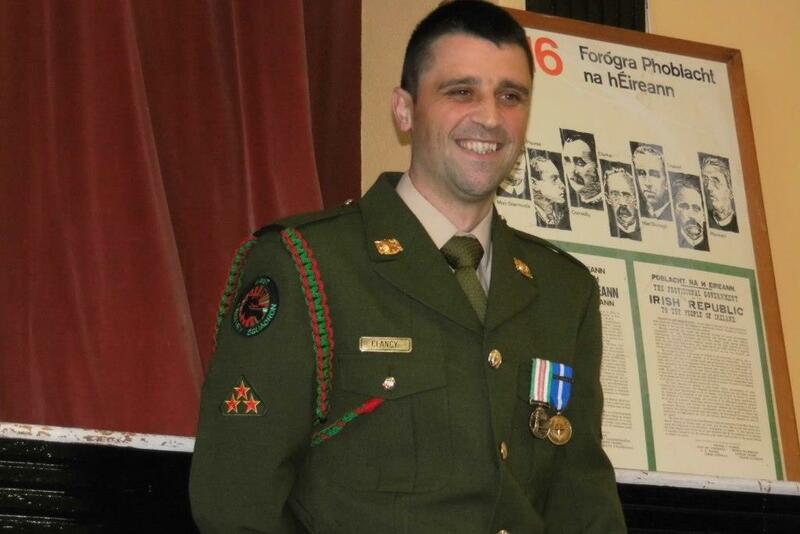 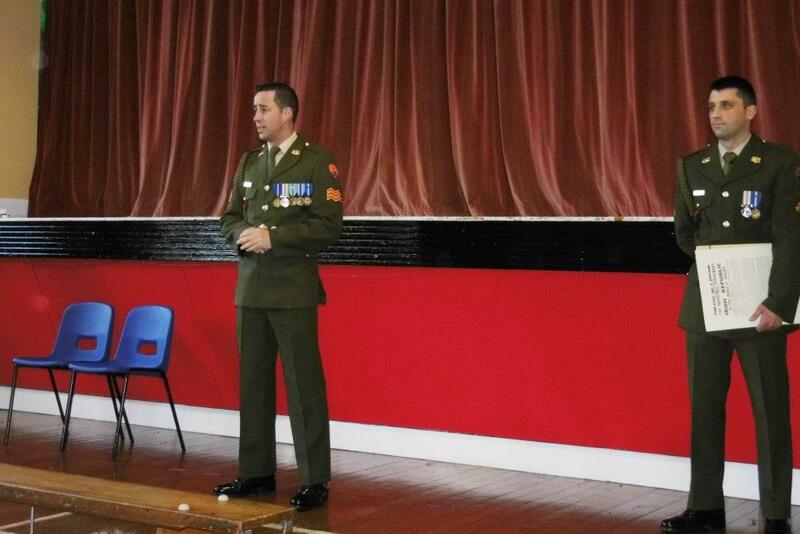 A question and answer ceremony followed and children asked many questions of the Defence forces about their medals, badges, their work at home and abroad and the history of the Irish flag. 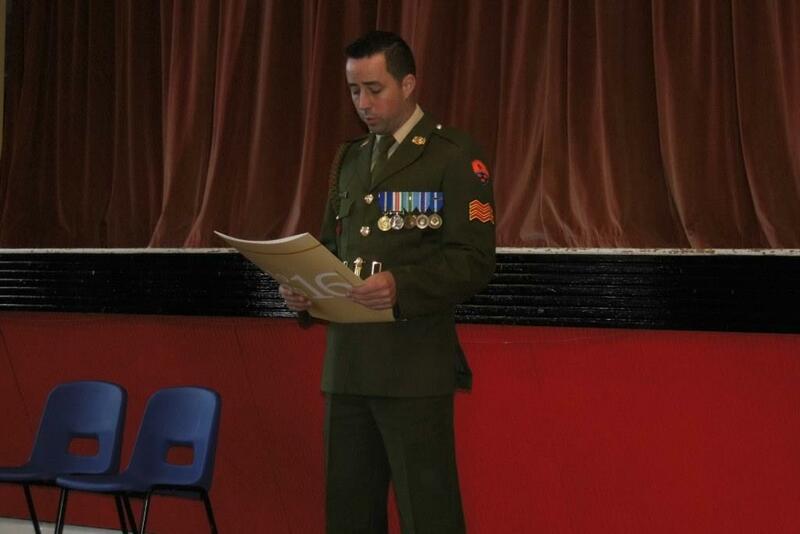 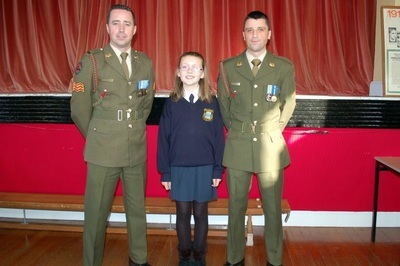 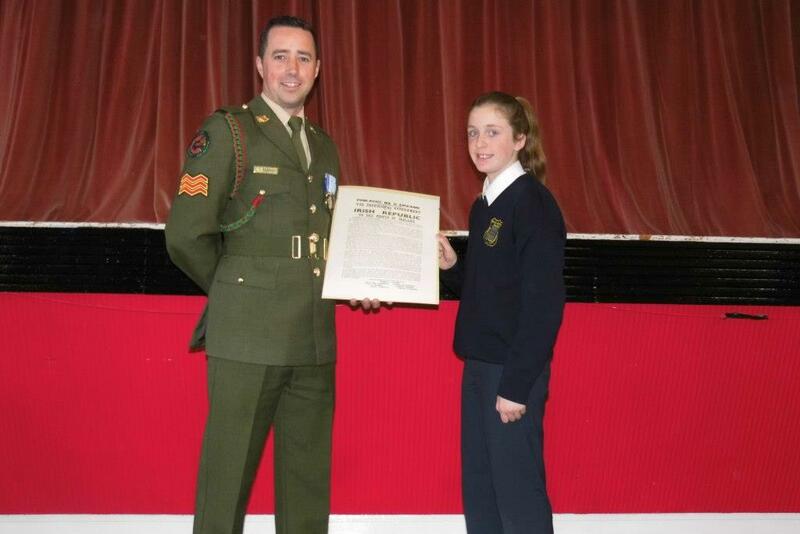 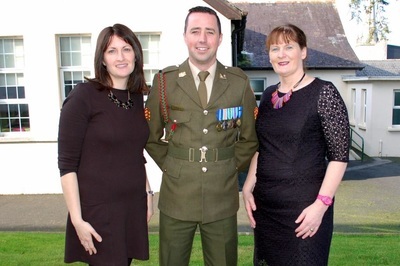 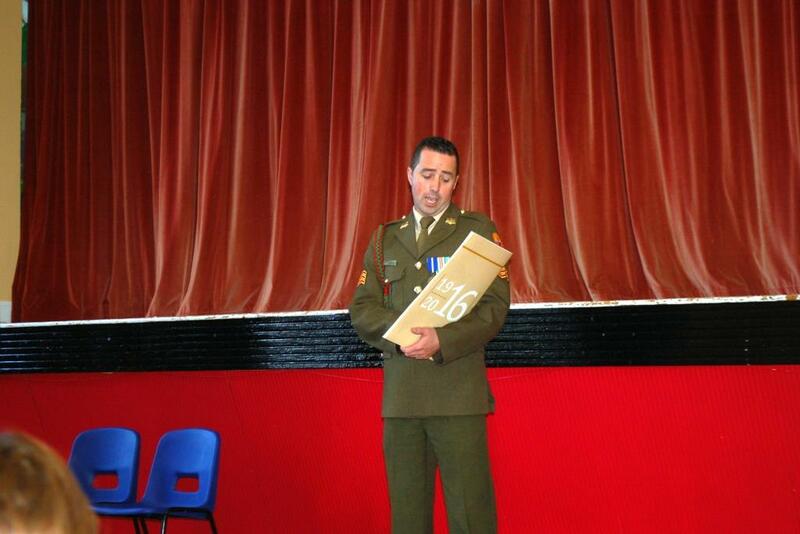 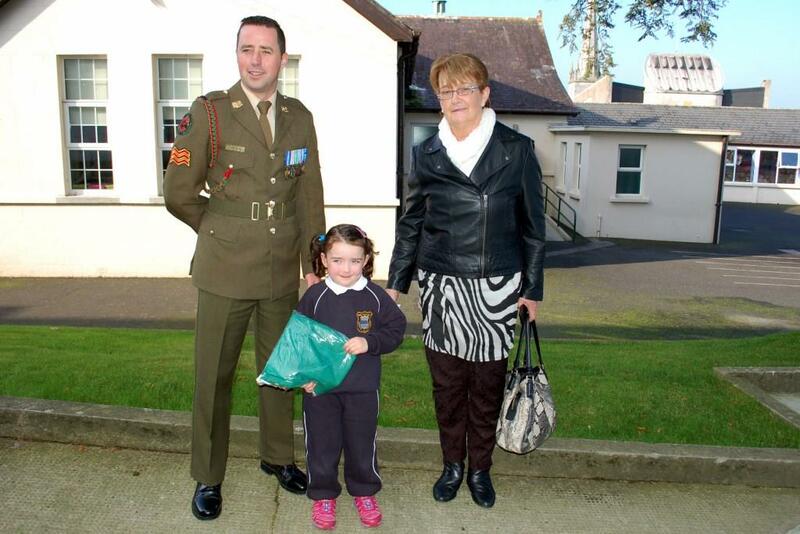 Ms. Hayes-Brennan (Principal) thanked Sergeant O'Regan and Trooper Clancy for the lovely ceremony and assured them that the 15th March 2016, (the day of the annual Céilí in Bunscoil na Toirbhirte) will be extra special, as the Irish flag will be raised and the proclamation read in every school in the country, on a day which Bunscoil always celebrates our Irish culture and heritage. 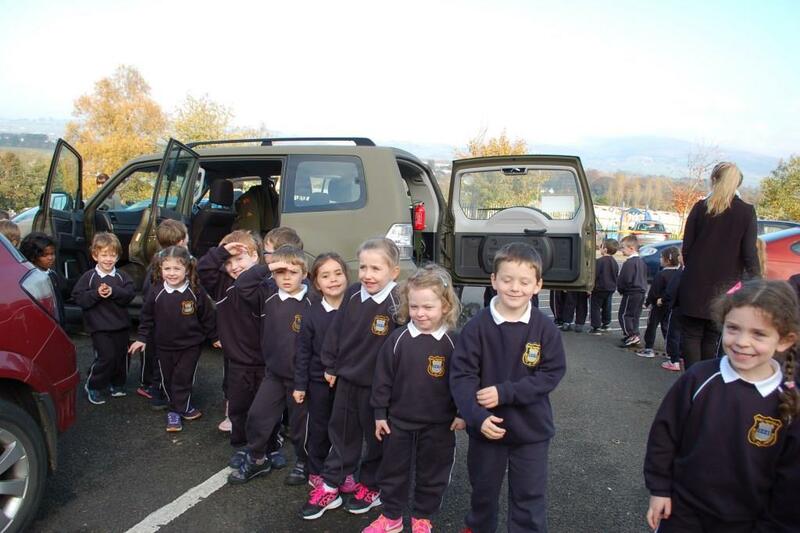 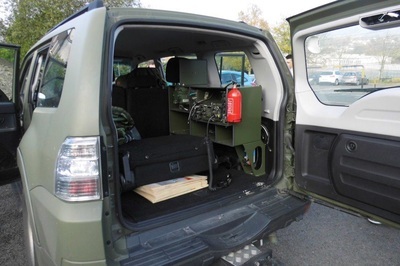 Smaller pupils were delighted when the day was rounded off by getting a little look into the army jeep. 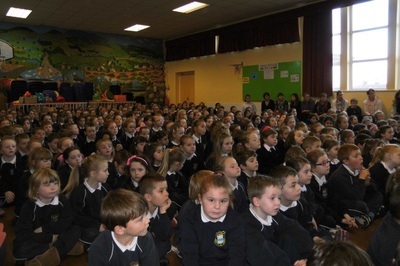 It was a memorable day for the whole school community.